user-inactivated · 1633 days ago · link · · parent · post: Do you wear a watch? Why? I'm on my second one of this model. I use it for running and coaching high school cross country, so it gets used often. I do like the retro/geeky appeal that it has. 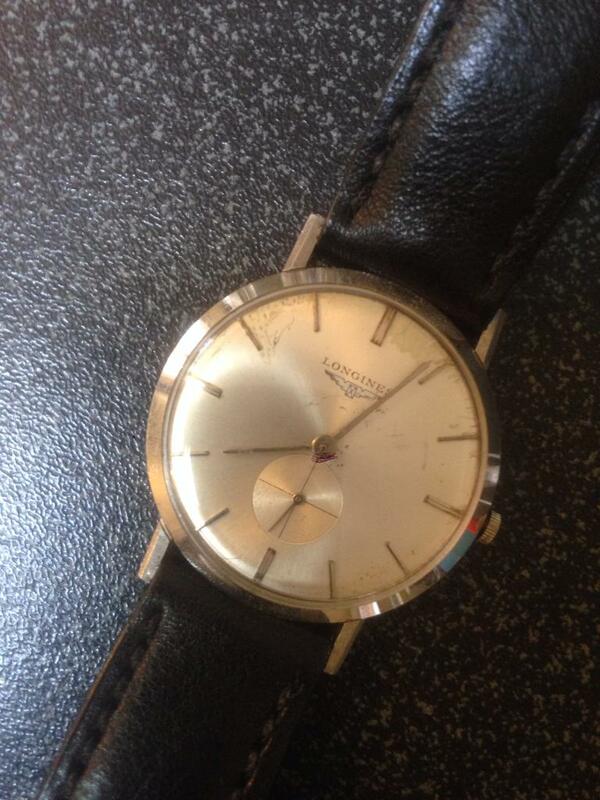 The only other watch I own is a Longines that was my grandfather's. I got the movement tuned up, but the place that did it didn't clean the face as well. I've been meaning to get that done. It's a pale gold, but I don't think it counts as white gold. The repair guy thought it was made in the 50's. The Casio F91-W, also known as the 'terrorist watch' ;) Apparently it is very easy to convert it into a detonator for a time bomb. Although I doubt that it's a useful sign for airport security, given that they are so popular.